When Shadow joined me in 1984, he was my childhood dream come true. I’d always wanted a horse, even though I knew virtually nothing about horses. I was foolish enough to believe Shadow was mine, because I’d purchased him. 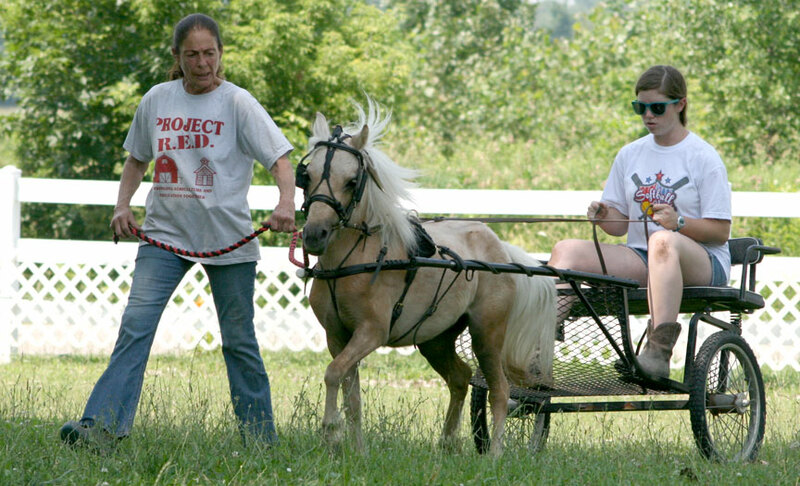 I had no concept of what working with a horse was all about. 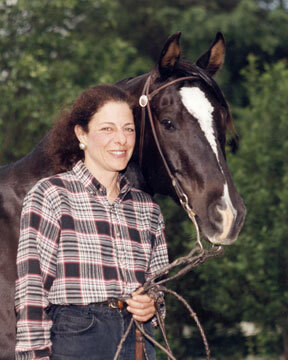 I barely knew how to ride, let alone how to train or bond with a horse. Looking back on it, Shadow and I were an accident waiting to happen: a scared “green” horse with a truly novice want-to-be horseperson. But I was determined not to give up my horsey dream, not to fail, not to get badly hurt, and not to harm Shadow. No harm ever did come to either of us. I believe that fact was due to Shadow, even more than to me. For whatever reason, Shadow chose to give me innumerable chances to get it right. I miss my partner and best biggest friend. I always will. Yet the legacy Shadow left me is enormous. He changed my whole life. He gave me a thirst for knowledge and skills. In our earliest days together, working with Shadow was difficult. If given a choice, he didn’t want to be with me. So I talked with lots of people for advice. I was even told it was all about getting his attention first with a 2 by 4 between the eyes! But I rejected “cowboying” and the harsh, quick methods. I knew there was a better way, even though I didn’t have the foggiest idea what that better way might be. I started searching out alternatives. I found the writings of Tom Dorrance, Ray Hunt, Linda Tellington- Jones, Mary Twelveponies, Maurice Wright, Sally Swift, Lucy Rees, Tom Ainslie and Bonnie Ledbetter, and Richard Shrake, long before John Lyons, Pat Parelli, Clinton Anderson, Pony Boy, Monty Roberts, and Buck Brannaman were popularized. I found my niche. It’s natural horsemanship (or “horse whispering” as it’s commonly called since Nicholas Evans’ fabulous book and the subsequent movie were released). It’s working in sympathy and partnership with a horse, by using kindness, gentleness, extensive groundwork, positive reinforcement, and trust building to evoke the horse’s natural desire to please a human. It’s focusing on “reading” the horse, clearly communicating, being fair and consistent, and finding (sometimes baby step) solutions. 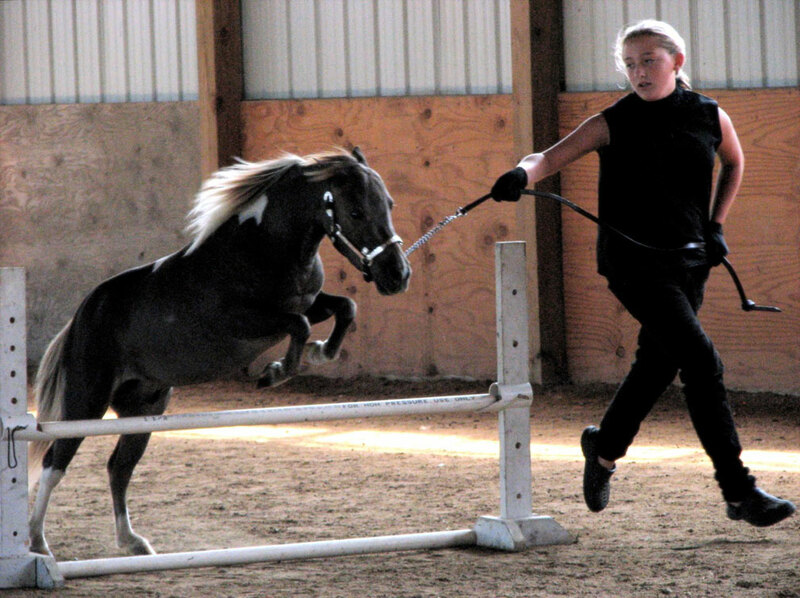 It’s helping each horse reach his or her potential, based on that specific horse’s natural talents and our human need to safely subject that horse to various unnatural and potentially scary circumstances (like trailering, hoof trimming, shoeing, medical procedures, bathing, clipping, and being ridden or driven). Natural horsemanship is my chosen way of training horses and donkeys. It works, with help from our veterinarians, our farrier, our massage therapist, our dentists, and our chiropractor. After all, a horse or donkey must be comfortable, healthy and sound to be capable of performing and making our wishes come true. I am available to evaluate, to consult, to resolve problem behaviors, to defuse fears, to improve existing skills, and to teach new skills for horses and donkeys, from birth through adulthood. We board and train here at M&MS FARMS. 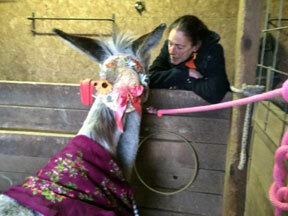 We also travel to work with horses, donkeys and their owners in their own settings. We can do the training for the owner. But we much prefer to actively involve the owner through frequent lessons and “homework” assignments between lessons. After all, the horse being trained is the owner’s horse; not ours. Part of our job is to ensure horse and owner can do it together, regardless of what “it” is … and that begins with building a strong and trusting bond. Have a problem? Looking for new challenges? Call us.